Thank you for taking the time to meet with Chase and me earlier this week. It was a productive meeting, and we appreciated the open dialogue. 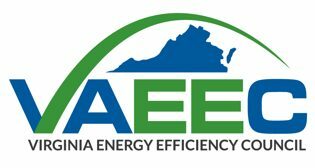 As I mentioned during that meeting, I have had several discussions with some of the Weatherization Service Providers to get a sense of what measures and programs would be the most effective way to expand the Energy Share Weatherization Services (ESWS) program from an on-the-ground perspective that also aligns with VAEEC’s desire to expand energy savings per household. Every measure that is part of the ESWS depends on a functioning mechanical system for the whole home or building. Mechanical systems are an important way to help consumers save money on their electricity bills. To that end, we ask Dominion Energy to consider compressor replacement and/or total HVAC replacement as a new measure for the expanded program. Currently, providers are not taking advantage of the furnace fan motor replacement due to costs, therefore, they are leaving homes or units with low-functioning systems. Another mechanical issue is related to tuning up old heat pumps. Because older model heat pumps have been phased out of manufacturing, the refrigerant for those units is less available and is therefore much more expensive to use than the refrigerant for newer models. In addition to these measures, VAEEC and the Weatherization Providers we work with are advocating for an increase in the health and safety budget from 10% to 25% to allow for greater access to those homes in need. Many providers have cited major issues with roofs and electrical systems in homes as being the biggest reasons they have to walk away from a potential job site. After speaking with these Weatherization Service Providers, there are several administrative changes that would also help them provide greater services to those in need. First, we encourage Dominion Energy to follow the same or similar guidelines for the federal Weatherization program. Namely, allowing providers to perform services on multi-family buildings where two-thirds of residents meet the income requirements instead of the 100% threshold that is currently used for ESWS. This not only allows the Providers to leverage their ESWS dollars with their Weatherization funding to provide even more energy savings to their clients, but also provides them with a ready-to-serve customer base already in the pipeline. Another DHCD Weatherization guideline that we ask Dominion Energy to consider is related to diagnostic testing. DHCD only requires 10% of units, in a multi-family complex, to be pre- and post-tested for air and duct sealing. Setting up diagnostic equipment for each individual unit is time consuming and costly, which is why Dominion Energy is seeing low numbers for these measures. If Providers were held to the same or similar standard that they are already familiar with for the Weatherization program run by DHCD, there would most likely be an increase in the use of this measure, which ultimately helps save low-income families even more money. Dominion Energy defines affordable projects in which at least 2/3 of the units are, or are expected to be, occupied by households earning not more than 80% of the Area or State Median Income, whichever is higher. All other properties are considered market-rate and ineligible for these programs. This shift toward the higher of 80% AMI or SMI will allow Providers to serve more low-income customers, while still allowing for some multifamily properties to be coupled with federal funds when feasible. This change expands the pool of participants, which will help Providers to achieve increased production targets in the future. 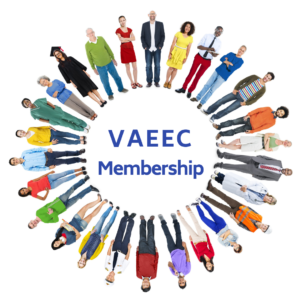 As a member of the DHCD Advisory program for the federally funded Weatherization program, VAEEC will also be advocating for DHCD to make this change in definition as well. The final administrative issue that we would like to address is the number of photos taken for light bulb replacements. We are unsure if this is an SCC request, and understand that if it is, then it probably cannot be changed, however, we would like Dominion Energy to consider reducing the number of photos taken per light bulb down to three (3). Understanding the need to provide documentation that the light bulbs are being installed, it seems that taking one photo of the light fixture with an incandescent light bulb, one photo of the LED light bulb prior to placement then one photo of the new LED in the same light fixture should satisfy any documentation needs that are required in order to show that light bulbs are being used onsite to replace incandescent bulbs. The more time a Provider or contractor is taking photos, the less time they have to help that customer save money on their energy bills. Thank you for taking the time to hear our ideas. We are excited about the opportunities the expanded ESWS provides to those in need and look forward to being an engaged partner with you in this work. Please let me know if there are any further questions that I can answer.